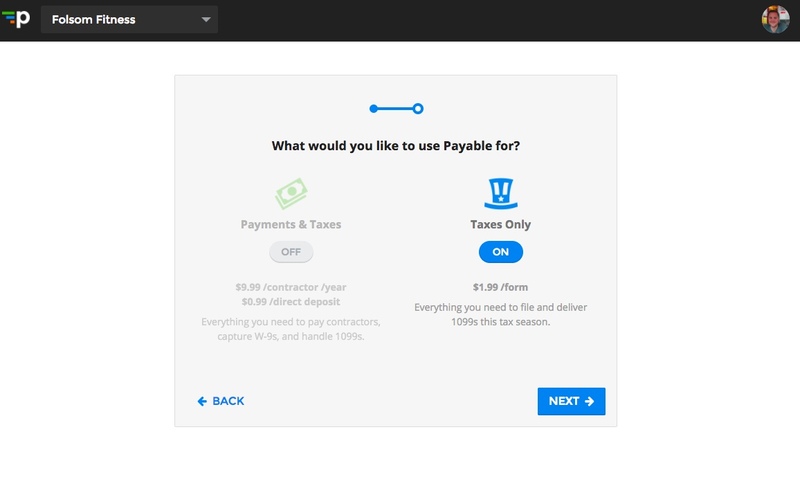 Using Payable isn’t just for making contractor and vendor payments, it’s possible to use Payable exclusively for capturing W-9s and 1099s. If you’re an accountant, that makes Payable a great way for you to manage ALL of your clients’ 1099 operations in a single dashboard. To learn more about Payable’s Accountant Role, read more here. Payable starts at $1.99 per form. We also offer other options to help you ensure year-round compliance for your contractors and vendors - contact us for more details or volume pricing. 4. Select the type of 1099 to generate and file - 1099-K or 1099-MISC. If you’re not sure which one to choose, please consult your accountant, tax lawyer, or other counsel. Better yet, invite them to Payable directly! 6. Choose your default state reporting preference - this determines if and what states you’d like to combine 1099 filing for, along with the federal form. Now you're all set to create 1099s! If you have a lot of them to do, check out our bulk importing capabilities.